Slots Angel Casino is a Dragonfish powered online games website that offers more than 300 slots in an instant play environment. Using the Casinoflex platform, UK players can access some of 888 casinos big jackpots and original gaming content. 888 Holdings PLC is the owners of Slotsangel.com. Highlights of this review include exclusive boosts and a recently re-designed casino website. Spin between the elements in this super slot of hot against cold. Fire offers free games while ice has its own unique feature. Pariplay Fire Vs Ice even includes both hot and cold expanding wilds. Super retro fruit machine that pixelates everything we love about the arcade. 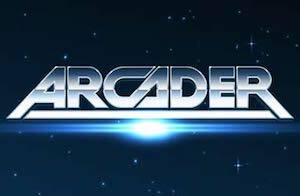 Thunderkick Arcader offers free spins, sticky wilds and a mystery game with multipliers. Combining the best of slots and bingo, Slingo hits the big time in this Britain’s Got Talent variant. Expect a showbiz twist and a modest jackpot of £20,000 for the taking. Online casinos favourite game of chance never fails. Especially online roulette from Dragonfish. Spin the wheel and tell me I’m wrong. Slotsangel.com is powered by Dragonfish Software and integrating with NetEnt and other top developers. It’s secure; players get lots of games, and it’s responsive for any fast action mobile slot cravings. Also UK slots players get 888 Ltd management for added comfort, and there’s a big Gambling Commission stamp for any doubters. Play slots religiously? Play with Slots Angel. It’s becoming more and more difficult to keep up with the mobile slots market. In particular, those casinos that drip feed UK slot players with tedious gameplay and rehashed promotions. Slots Angel was born out of this despair and like close relation Secret Slots, was created to make mobile casino and online casino worthwhile again. Slotsangel.com got its wings in 2015 and surpasses rivals for its quality games, secure payments infrastructure, and close player account management. There’re some great slots at this site. Players also have access to huge progressive jackpots, cashback on selected games and even a friend referral scheme. We’re calling Slots Angel one of the good guys because of their legitimate standing, user-friendly design and heavenly welcome bonus (did you know it includes 25 free spins). One of the strongest plus points of UK Casino Slots Angel is the sites jackpot profile and games selection. While the main hub uses the power of Dragonfish Software, that same hub can integrate seamlessly with other top developers. Therefore resulting in a variety of slots across multiple genres, pay line designs and payout capacities. In total, Slotsangel.com blesses your fingertips with over 200 games including popular online slots, progressive jackpots, and classic casino table games. Dragonfish allows the site to flex its wings with the likes of IGT, NetEnt, Ash Gaming, Amaya and WMS. Some of our favorite slots include Starburst, Blood Suckers, Fruit Shop, Subtopia and the new Twin Spin, all NetEnt by nature. Classic slots and fruit machines include Jackpot 6000, Snakes and Ladders, Saved by the Bells and Irish Luck. But if it’s big progressive jackpots you’re after, we highly recommend Millionaire Genie Jackpot and A Nightmare On Elm Street the Slot as two of the best payouts listed at Slots Angel. But it’s not just about spinning the reels, Slots Angel Casino is also well-equipped with some of the best table games, live dealer software and roulette wheel simulators. 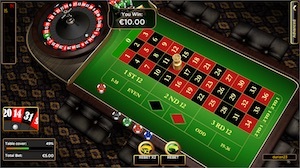 Roulette game variants include 3D, French and European. Baccarat fans get their play too, and there’s Atlantic Blackjack for the card counters amongst us. Slotsangel.com features live play too in the form of Automatic and European Roulette Wheels, something for everyone. With a name like Slots Angel, there’s no getting away from the great expectations of gaming site godliness that today’s market demands. In this case, Dragonfish Software helps drive mobile slots and online slots quickly, safely and routinely. Dragonfish, the independent games development arm of 888 has vast experience in its field. This puts Slots Angel in partnership with one of the world’s leading online gaming brands and supports players with the latest management technology. If you’re playing here, then you’re playing secure, reliable and tested games, and not from one top developer, but from many. Slotsquad rates Dragonfish amongst the best in the casino software class. Holding licences from the Governments of the United Kingdom and Gibraltar. The instant-play games interface of Slots Angel Casino offers full and regulated support. UK players get access to free phone support, live chat facility and a contact web form. The banking options at UK Casino Slots Angel include Neteller, PaySafeCard, Entropay, PayPal, Visa, Mastercard and Ukash. In terms of withdrawal times, players can expect completion times on payouts of between 4 – 7 days. If you’re looking for faster real money slots payments both in and out, play with Neteller or PayPal at this casino. The growing popularity of close cousin Secretslots.com has spurned another Dragonfish platform that hopes to put players on cloud 9. Therefore if you’re looking for some big progressive jackpots, slots and cashback on selected games, then Slots Angel Casino is worth a spin. Heavenly design, nice choice of games also lots of trust on the management and support side of things. Slotsangel.com is one to watch.